3 posts categorized "Annie Leibovitz"
Featuring the lovely actress Keira Knightley, Annie Leibovitz does her own version of The Wizard of Oz. I love NYC as the Emerald City. Hot. xo. 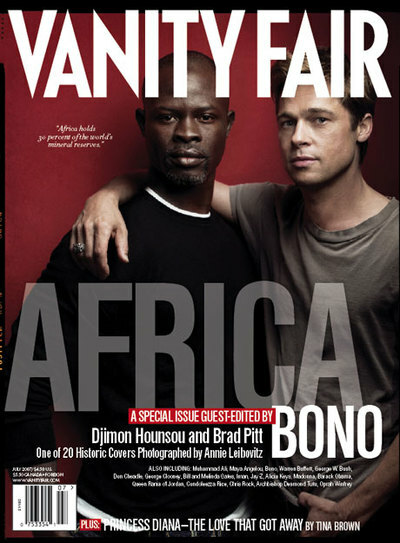 The July issue of Vanity Fair will have 20 different covers shot by the fantasic photographer Annie Liebovitz. 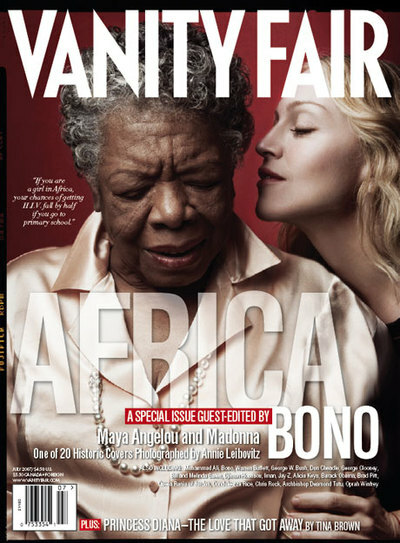 Included in the covers are Oprah Winfrey, Madonna, George W. Bush, Chris Rock, Maya Angelou, Condoleeza Rice, Bill Gates, Barack Obama, George Clooney, Iman, Alicia Keys, Jay-Z and Brad Pitt among others. The shots are supposed to represent "a visual chain letter spreading the message from person to person to person." The entire issue is dedicated to history, struggle, and future of this challenged nation. 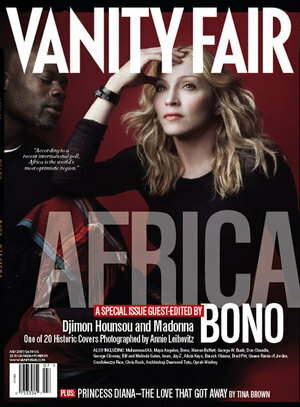 Also featured within the pages of the magazine are a selection of photos taken during Madonna's most recent trip to Malawi as well as news on the documentary she is filming about the plight of those living in Malawi. You can check out all the various covers here. Also, online only, you can view a behind the scenes video of Annie's amazing photo shoot with all of celebrity contributors. 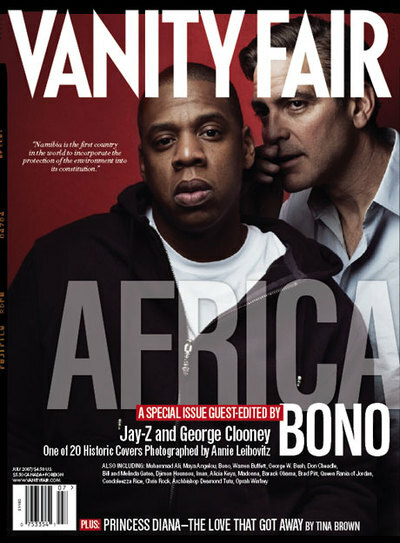 The site goes on to say "In this behind-the-scenes footage, which is accompanied by a beautiful track from popular Senegalese singer Youssou N'Dour, Annie Leibovitz and guest editor Bono go about the business of creating the issue's 20 iconic covers." 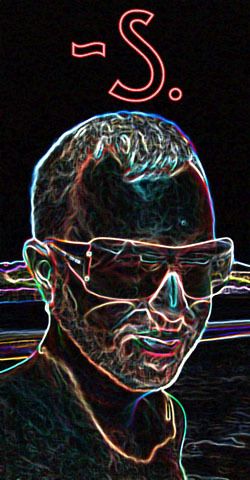 SEE IT HERE NOW. Enjoy. xo. A few months back I was lucky enough to see an exhibition of Annie Leibovitz's work when it was showing at the Brooklyn Museum. I went there with my BF and his Mom (who we lovingly call Cackles). 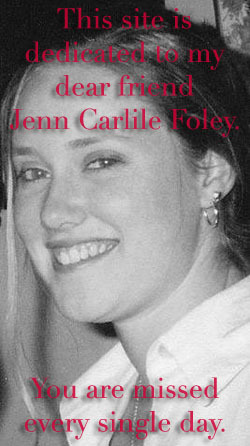 You may have heard of her on here a time or two - Cackles not annie. :-). The exhibit featured Annie's work from 1990 to 2005. The exhibit (and also a book) called A Photographer's Life only scratches the surface in regards to the bulk of amazing work she has done in her long career. 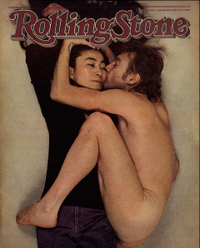 Annie's iconic shots are a backdrop of modern pop culture and politics. She has captured the images that clearly evoke a response to a time in our history. Her lens has focused on a wide range of subjects - musicians, actors, politicians, artists, civil rights leaders to to name a very few. Her work spans decades. I thought I'd write briefly about Annie because recently there has been so much news swirling around about her newest creation. She recently was able to photograph Queen Elizabeth II. The photograph shows the Queen sitting in the White Drawing Room at Buckingham Palace dressed in a pale gold evening dress, fur stole and diamond tiara. Some have given the shot rave reviews and other are less kind - "It looks like something you might see in a catalogue offering the Queen herself for sale. The Queen's face has an utterly public quality that approaches, to me, dead, with all the personality of a marble bust of George Washington." 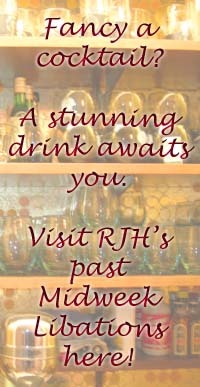 Personally, I am a fan of the shot. It's quite beautiful and mysterious. 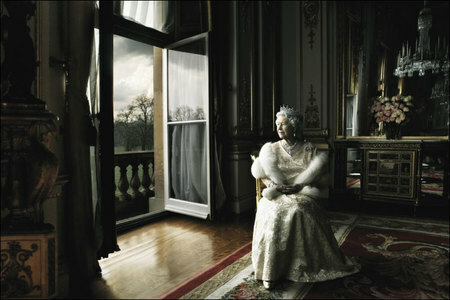 I have always thought that Ms. Leibovitz's work can either be over the top glamor or down right simple. Regardless of what the masses at large think, I love the fact that a photograph, a simple image created between a photographer and her subject can create a conversation. I look forward to more and more of what Annie will create moving forward. She is truly a talent that has given back and I am grateful for it. See more of Annie's work by clicking HERE.